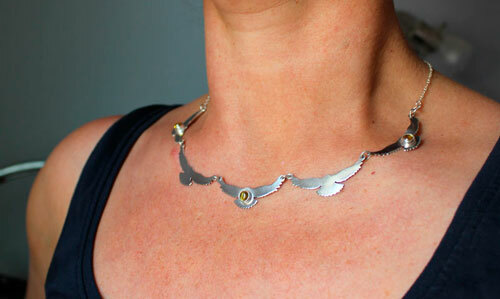 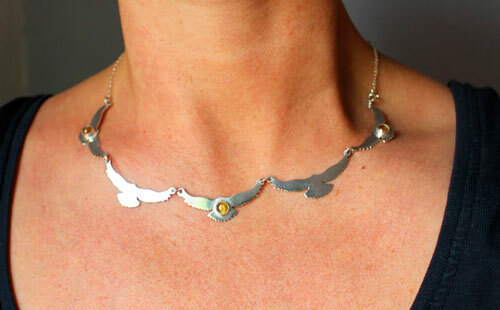 The Song of the Sun is a sterling silver necklace made of several flying birds. 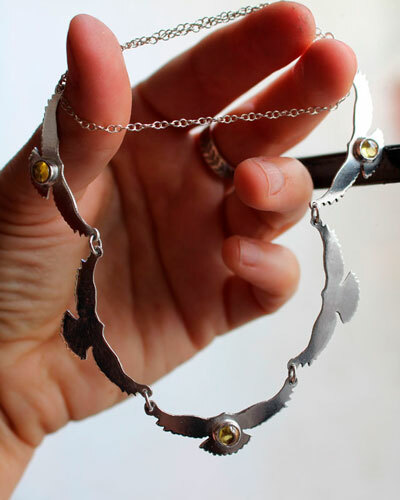 This necklace is a version of Message from the Sky but this time, it is bezel set with yellow zircons on three birds out of five. 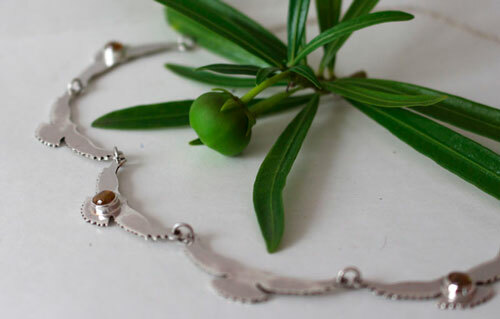 This necklace would be ideal for a bride which dress or bunch of flowers would be in golden or yellow-orange hues. 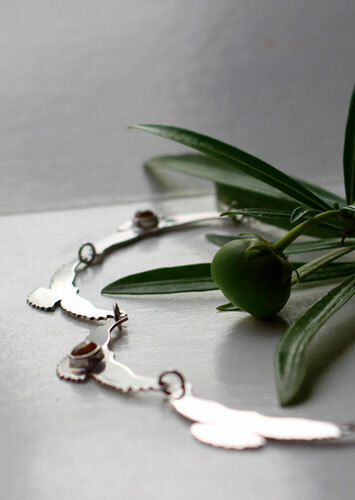 I will need 5 days to make your necklace before shipping. 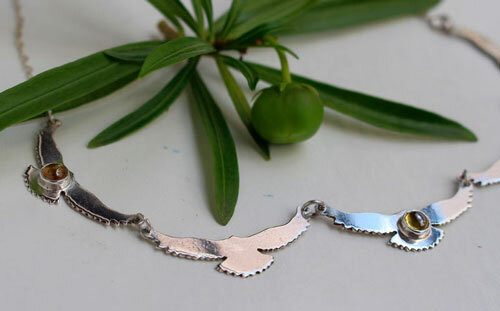 Tag: necklace, sterling silver, bird, choker, wedding, cocktail, eagle, raven, owl, flying bird, handmade, adult, feminine, low key, chic, nature, sky, raptor, animals, zircon, yellow.